This Chinese cook must have broken the Genius World Record : 1 minute fry 12 woks of noodles simultaneously. Do not under-estimate the simple wok, which was invented by the Chinese in the 10th-century Song dynasty for quick frying of food with minimum firewood and better preserve nutritients in ingredients. The 13th-century Mongolians learnt from the Chinese after conquering China, brought along the light woks on horseback when attacking the Middle-East and Europe, pushed the migration of the advanced Arabic scientific civilisation (e.g. Algebra, Algorithm, Arabic 0123…9, Education systems: Bachelor, Baccalaureat, License, …) to the sleepy Europe in dark age, and sparked the first light of the 14th-century European Renaissance in Italy. 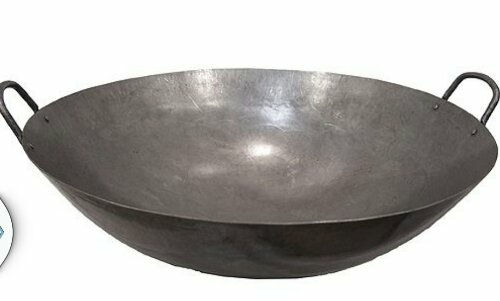 A simple wok enabled the Mongolian soldiers to cook food anywhere any time in the battle fields, the well-fed Mongolian Army on horses could maneuver rapidly within days at the big surprise of the enemies. 1. Curved bottom better than flat bottom, because it needs less oil which forms a pool at curved bottom rather than spread out thinly. 2. Curved bottom gives the wok ‘qi’ (锅气 Wok Steam) which cooks food faster and evenly. 3. Avoid using the precious wok to steam food. Reason: oil layer which protects the wok surface will be washed out, making the wok too dry and subject to dust and crack. 4. The wok is like your wife, take care of it for life – never give it away! 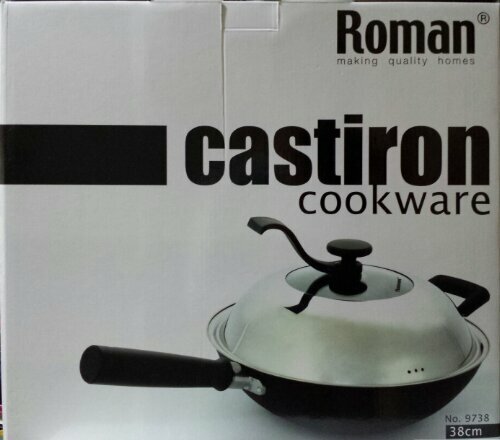 Afraid of the potential ‘bird killing’ gas evaporated from the PFOA (Telflon) non-stick wok, or the brain-damaging Aluminum wok, I switch to this Roman-brand wok with Nano Enamel technology (纳米珐瑯技术). The new wok just needs 10 minutes to season (开锅). Stephen Yan was the former boss of Martin Yan, both are not related. Where is Stephen Yan now ? His daughter said Stephen ran marathon as champion in his age group (57), summitted Mt. EVEREST on 3rd attempt, and happily retired in the USA. 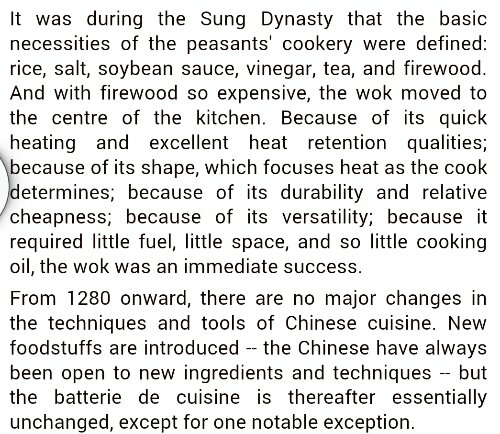 Chinese invented the unique “Wok Fry” 鑊炒 technique in the 10th century (Song Dynasty 宋朝), which is absent in the Western kitchen, the aim is to cook food under high heat in limited time to preserve food flavor. The wok invention was adopted later by the powerful Mongolians which had the world’s most rapid military ‘automobile’ (4 mongolian horses per soldier), plus the light magic wok which they carried on their horse back to cook anywhere any time.